MPT's Education Team celebrates the extraordinary contributions and commitment of dedicated teachers in Maryland. Congratulations for making a positive difference in the lives of students and families. Learn more about Teacher Appreciation Week. Baltimore County super-teacher Kelly Ronson goes above and beyond in her classroom. Ms. Ronson makes a point to know each student on a personal level and hosts “lunch bunches” in her classroom to learn about them as children not just students. Cultivating an open learning space, Kelly's classroom provides a relaxed atmosphere where students feel encouraged to take risks and rally around one another when they face shortcomings. 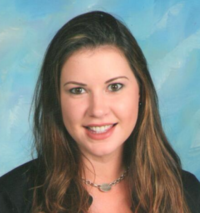 Learn more about MPT's "American Graduate Champion" Ms. Ronson and get inspired to branch out in your own classroom. Part of being a great teacher is finding ways to foster resilience and ethical leadership skills among young people. PBS LearningMedia designed a resourceful collection of tools and methods specifically for this purpose. As educators develop and adapt the methods shown in the videos, they can collaborate with a group of teachers across a range of subject areas. Take this opportunity to boost your teaching toolkit with Thinkport's late spring online courses. Earn MSDE credits from the comforts of home and gain knowledge that can immediately be applied in the classroom. * Enrollment deadline is Friday, April 29. If you are homeschooling your children you deserve special appreciation as well! PBS Parents provides a treasure trove of activities, resources, tips and articles to enhance at-home learning. Teacher Discounts: You Earned It! Go treat yourself! Did you know that many retailers offer discounts to teachers? You can save money on books, clothing, supplies, technology, travel and more.